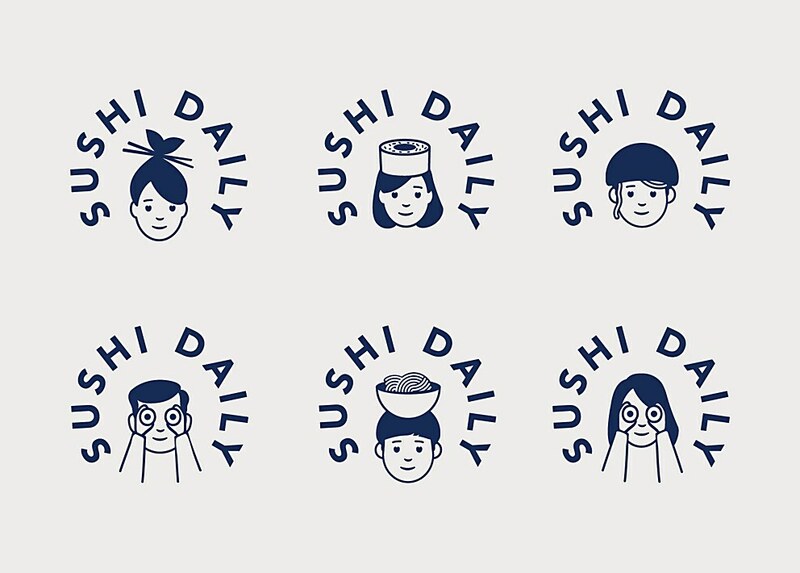 These contemporary yet striking illustrations capture the heart of this leading sushi kiosk’s new identity. 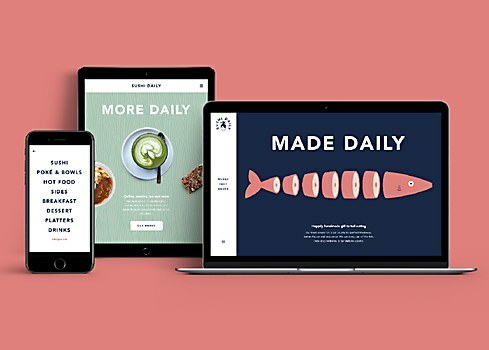 Background: Our task was to rebrand Sushi Daily to drive the high-street launch of the supermarket kiosk business and challenge a chain-led market, with its first “grab & go” concept set to open in London. 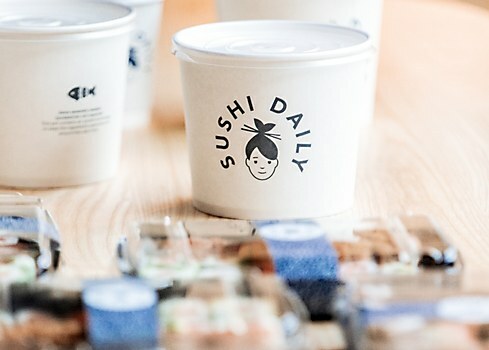 Founded by Kelly Choi, Sushi Daily is Europe’s leading sushi kiosk business, making handmade sushi at counters in over 700 supermarkets, including Waitrose in the United Kingdom and Carrefour in France. 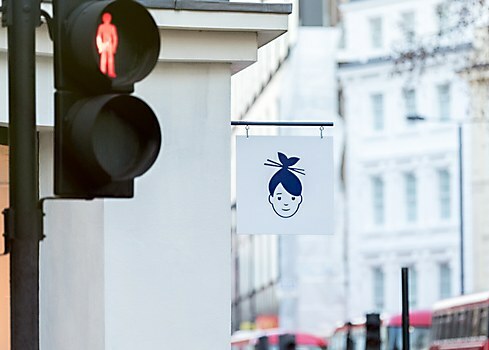 We initially won a pitch to develop the brand for its first dedicated “grab & go” store on London’s New Oxford Street, but the work developed into a new identity, including a new logo and website to be rolled out across the business. 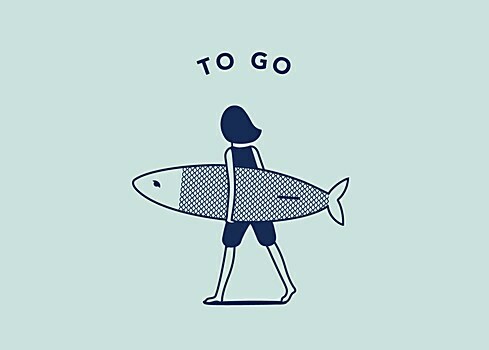 Reasoning: We based the work on a series of meetings with founder Kelly Choi and the story of her promise to sushi master Yamamoto-san to make the best sushi available to everyone. 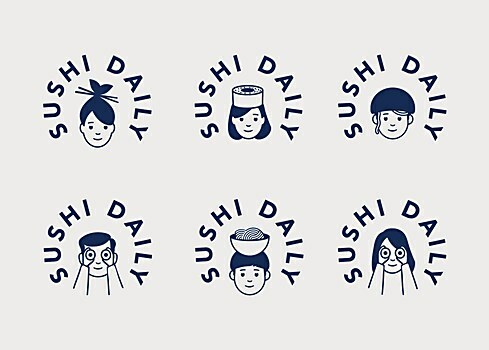 The new identity is centered on a family of illustrated characters—led by a female chef with fish-tail hair—and a strong Japanese indigo blue. The contemporary Japanese illustrations enable the brand to educate without formality. 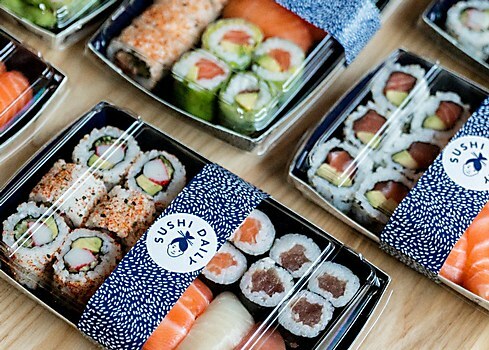 The indigo shows off vivid sushi colors, while feeling more distinctive than ubiquitous black sushi trays. Challenges: Research and workshops with the client revealed that while customer satisfaction was high, brand recall was low. 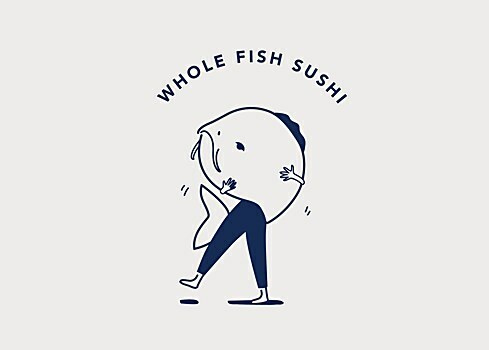 The fish is cut whole everyday on-site, unlike high-street sushi chains. 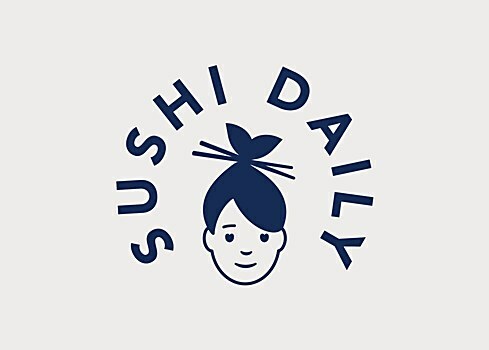 But, despite operating in a different league of quality, Sushi Daily looked like a supermarket own-label brand. Favorite details: The creation of the female chef character, inspired by founder Kelly Choi. It captures everything about the brand: expert but approachable; rooted in Japan but accessible to westerners; striking yet understated. Visual influences: The discovery of Japanese indigo. Sushi brands typically use black backgrounds to showcase the food. Indigo is just as effective in this respect, but it has a rich story and feels completely distinctive in the market. Anything new: The work was the result of understanding of how to make great sushi: cutting down whole fresh fish (using as much of the fish as possible); the chefs’ care and attention of their own knives; the style and texture of blade strokes; and even the secret recipe for rice with more air. 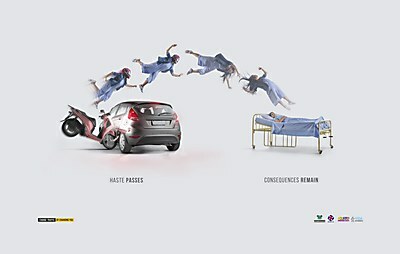 The ads for this Brazilian non-governmental organization show bikers the danger of committing traffic violations in a straightforward way. 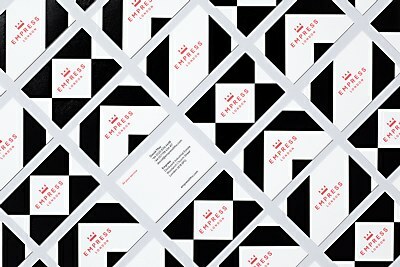 The identity for this London-based litho printer shines with the help of its crafted monogram and gilded graphics. The thirty-second spot “Tailgates” acknowledges the rich history that led up to the modern version of the Chevy Silverado.